When recently asked to share my top winter holiday tips, there was no hesitation before I answered with "go to Chamonix, it will capture your soul." During then dark an cold winter months, I love the idea of grabbing some winter sun - chilling out on a beach in the Caribbean, drinking cocktails and my biggest decision of the day being which bikini to wear. However, the lure of Chamonix in winter with Mont Blanc towering over the town, the adventure and fun it has to offer and it's accessibility to the UK make it top of my list for a winter holiday destination. At 4810 metres it's the tallest mountain in Western Europe and also the deadliest mountain in the world. You can't escape her dominance and magic. I've been there on days when the sun is shinning so brightly it feels as though looking up at Mont Blanc is like looking at the world's most prescious gemstone. I've seen paragliders fly off the top of Mont Blanc, twisting and twirling in the air, landing on the summit and taking off again. I've climbed to the summit and looked down on Chamonix, feeling like a world away from civilisation. There have also many a time when the cloud is so heavy and dense that you aren't able to catch a glimpse of Mont Blanc. Days later when the clouds subside and you see Mont Blanc in all her glory, you stand there mesmorised and can't take your eyes off the mountain. Always there, always calling you to come and play. Playing host to the world's best, lift-accessed steep skiing and snowboarding, and globally renowned as the birthplace of extreme skiing if you're looking for a real mountain adventure Chamonix has it all. 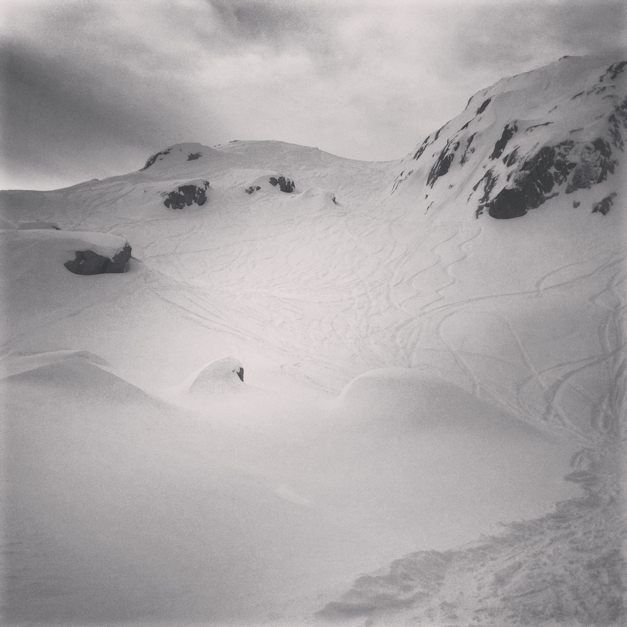 It's extremely easy to hire a guide and try your hand at ski mountaineering, ice climbing, off piste skiing, para-skiing or ski-touring. With six resorts to choose from, if bombing down a mountain is what you dream of, you need to plan a trip. If you enjoy the type of environment where challenging your limits is the norm, you'll see a lot of that here. It attracts adventure athletes and adrenalin junkies from far and wide, all making home here to turn their dreams into reality. 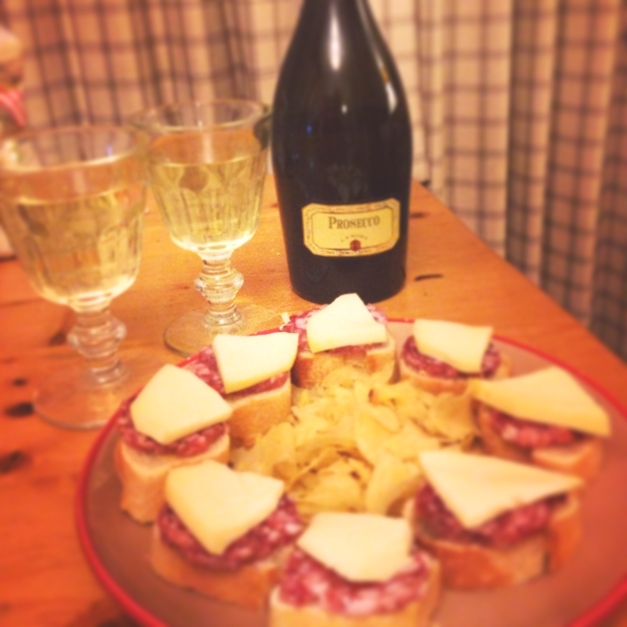 If you're like me and you love foods like chocolate, cheese, bread, meat and wine, then you'll love Chamonix. My favourite restaurant there for all round Savoyarde food is La Caleche located right in the heart of Chamonix. For a special occassion meal, L'Impossible is incredible. Run by an Italian family the food is organic and traditional, service impeccable. It's well worth a visit. 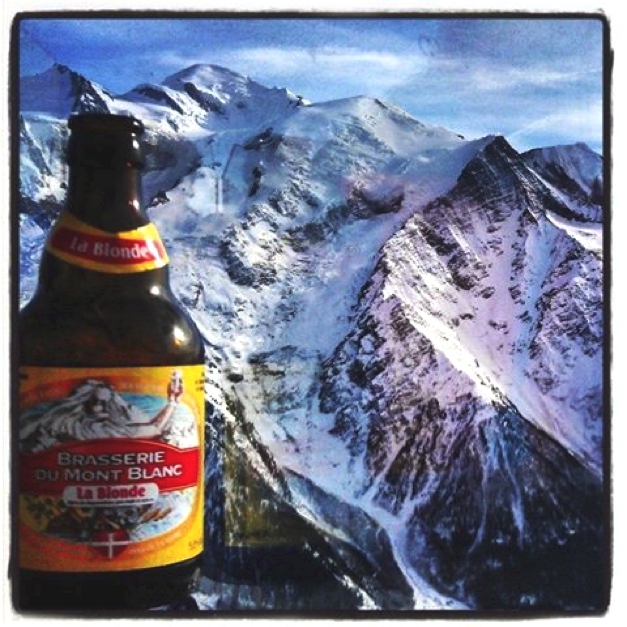 For post mountain burgers and beers, you can't go much better than Micro Brasserie Chamonix. The town is relatively small, you can walk from end to end in 30 minutes which means you can also try out all the pubs and bars and clubs within 1 week. It's a mecca for mountain enthusiasts. You'll find the world's best skiiers, mountaineers, alpinists, cyclists, base jumpers, paragliders and runners all living and adventuring there. There's nothing better than celebrating an epic day in mountains with beers so you'll get to meet very interesting people. There are a couple of pubs that do Happy Hour beers, like the Monkey Bar, from 4:15-6:30 well worth hunting down as can save you a small fortune. If you love dogs, you'll see them everywhere during your trip! All different breeds, sizes, shapes and all ready for cuddles. There's also a St Bernard farm in neighbouring Les Houches. 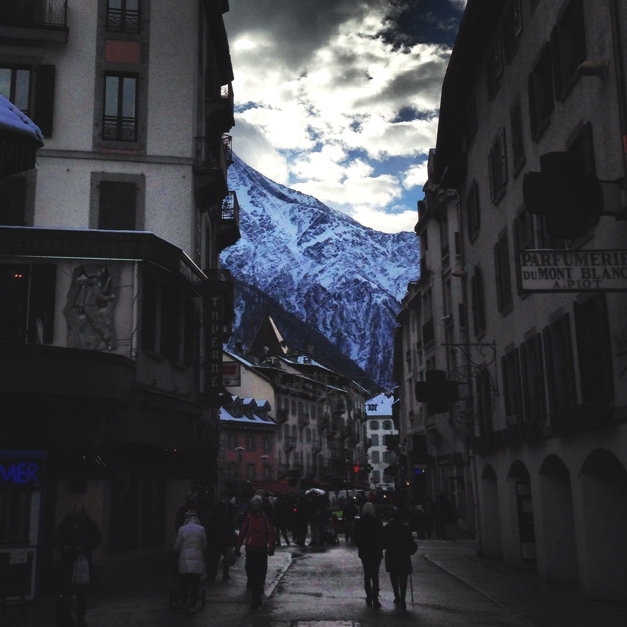 Chamonix is very easily accessible from the UK. It takes 1 and a 1/2 hours to fly from London to Geneva and 45 minutes to transfer from Geneva to the town centre with Mountain Drop Offs. This accessibility means it's ideal for a weekend getaway or a longer holiday, the choice is yours. For accommodation, check out the fantastic deals on offer from VIP Ski, a cosy chalet and great service will ensure you make the most of your stay. 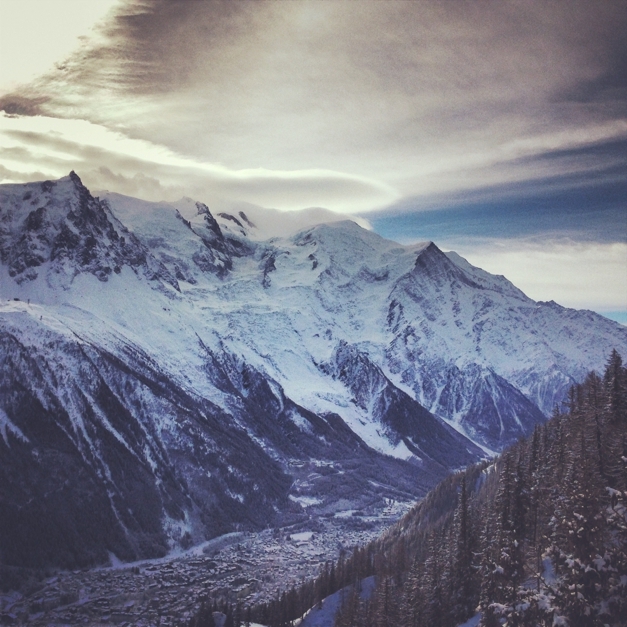 Dogs, cheese, wine, chocolate, stunning views, great nightlife and mountain adventures calling your name - you can see why Chamonix is top of my list for a winter holiday. To understand why it has captured my soul you'll have to go and experience it for yourself. I couldn't leave you without the icing on the cake - the hot chocolate there is divine!